Fans of survival games like The Forest and Stranded Deep will be pleasantly surprised by Creepy Jar studio's new game Green Hell. It offers a different view on a survival genre that really makes you meticulously think out all your actions during the gameplay. 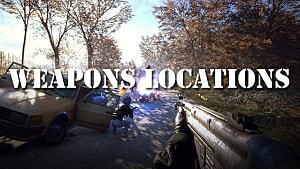 It has everything that a survival game needs, including collecting/crafting items, hunting, and building mechanics. 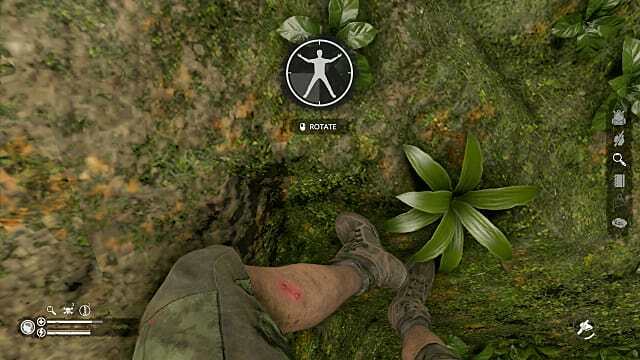 But what makes it stand out from other survival games is an attention to detail that makes the survival aspect of Green Hell quite challenging. 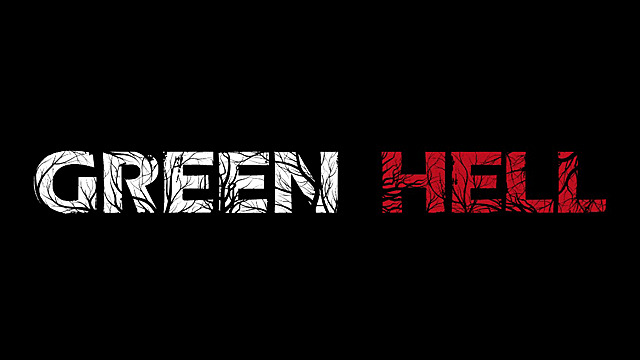 The game is currently in Early Access, so if you'd like to learn whether it's worth buying the game now or waiting for a full release, keep on reading our impressions of Green Hell's first playable version. 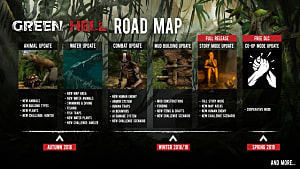 Currently, the game has two playable modes: Survival and Challenges. There's also a Story mode present in the main menu, but it's not playable just yet. Instead, you can get a taste of the story during the first part of the Survival mode that offers a glimpse of what the Story mode can be all about. You begin stranded on the shores of an Amazonian jungle. Two young scientists land in the unknown area to get to know the Yabahuaca tribe that resides somewhere in the jungle. Your job is to get to the first camp and search for the tribe. In the first camp, you're given tasks that serve as a tutorial to understand the basic game mechanics such as collecting and crafting, eating and taking care of your wounds. You can read more about these aspects of the gameplay in our beginner's guide here. The most fascinating part of Green Hell is its visual presentation. The game looks absolutely gorgeous. Well, at least the nature part is really awesome. You can tell the developers took their time to create realistic textures for the foliage, water, and surrounding areas. The lighting is perfect in this game. You can see every glare and ray as precisely as in real life. If you wander too deep into the jungle, it gets really dark and hard to see anything -- creating the need to craft a torchlight or set up a small campfire. Apparently, the developers have studied actual Amazonian forests and carefully recreated the atmosphere and setting of the jungle with all its intricacies. 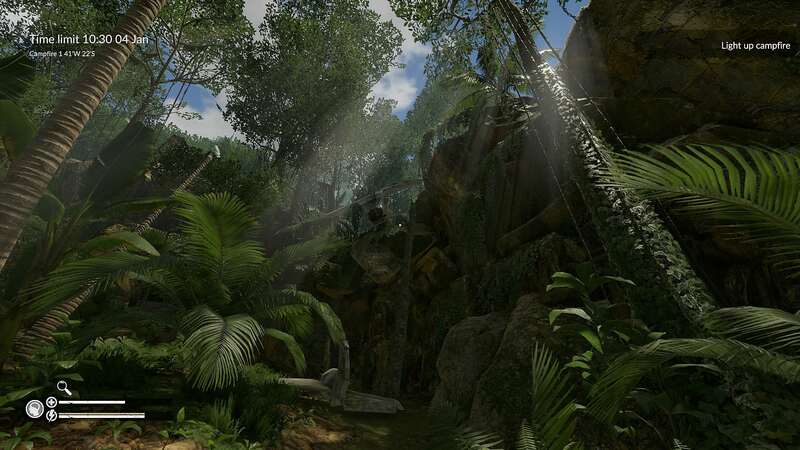 The jungle is thick and full of various plant and animal species, which you can gather or hunt. But things aren't as sweet as they seem at first glance, and sooner or later you'll get bitten by a venomous snake or eat an unknown mushroom that will make you puke. 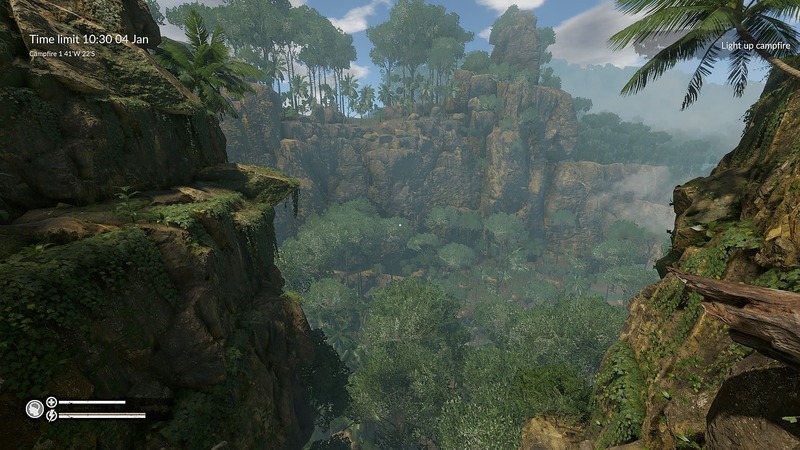 One more thing that makes the jungle alive is the ambient sound. It's really subtle and doesn't distract you from the game, but every little rustle or gust of wind adds to the realism. Eventually, you'll find yourself completely immersed in the gameplay. At this point, it's hard to say how big the island actually is, since there isn't a map in the menu. The area will probably increase when the game is finally ready for the story, but right now it's still a mystery. Regardless, the general area is big enough to explore for hours upon hours. Sometimes you'll stumble into other campsites that are likely abandoned, and the only NPCs you meet are the aborigines of the Yabahuaca tribe. It's easy to spot them in the jungle by their characteristic songs. So if you hear tribal singing, and you're not ready to accept a fair fight, then it's better to quickly leave the area for good. 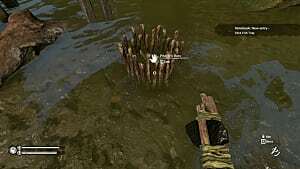 The mechanics in the Early Access version of Green Hell offer enough to survive on such simple things like wooden sticks, stones, and liana ropes. Out of these three basic materials, you can craft everything from a simple axe to an entire shelter. 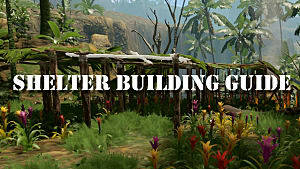 Building a shelter is especially important if you want to save your gameplay, as that's the only place where you can do so. The shelter also provides an opportunity to rest in order to keep your sanity levels from falling. Let them fall too low, and you'll be vulnerable to wild animals. 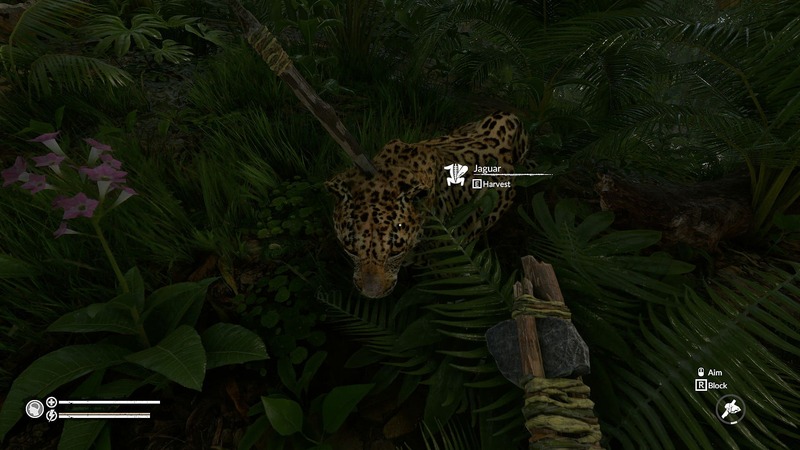 Another classical survival feature is hunger. Eating and drinking are absolutely required for survival. You can find food almost anywhere: on the trees, on the ground, or by hunting animals. The meat has to be cooked as well, or you might get sick. 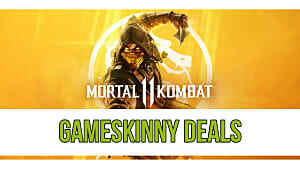 Speaking of getting sick, healing wounds or sicknesses is also a huge part of the gameplay. One little mistake of drinking a dirty water or falling off of a cliff may result in low levels of energy and sanity. 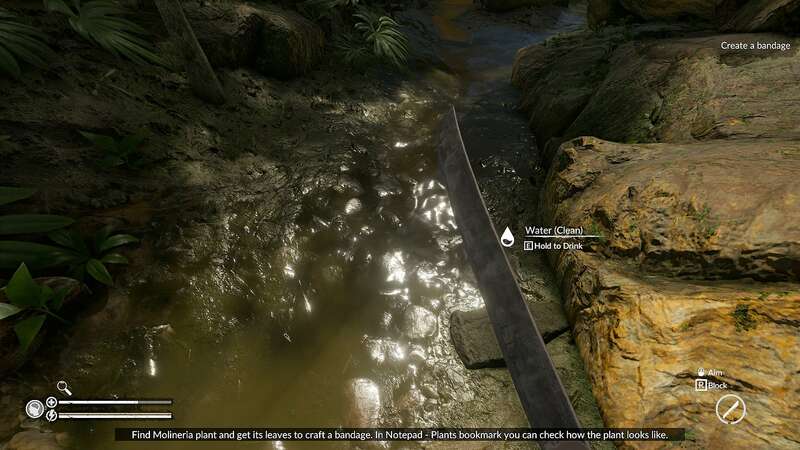 But fortunately, there are well-designed mechanisms to treat wounds in the game with the help of special plants. 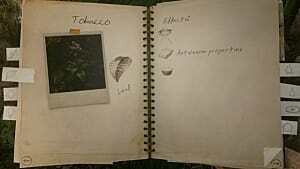 All the information about valuable plant species is collected in your notebook. You can gather these plants and keep them in your backpack for further application. On all other occasions, you just need to be careful and remember what is safe to do and what isn't. One of the most unique mechanics in Green Hell is the body inspection. If you notice that your health is rapidly reducing, you can activate an inspection tool in your menu and examine every part of your body for any possible injuries. Most likely you will see a scratch or a wound that needs to be patched. 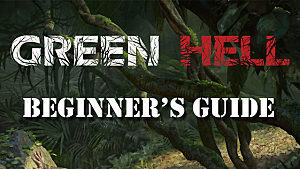 The hunting and combat mechanics are really simple in Green Hell. Right now you have one basic attack and one basic block action when using a melee weapon. 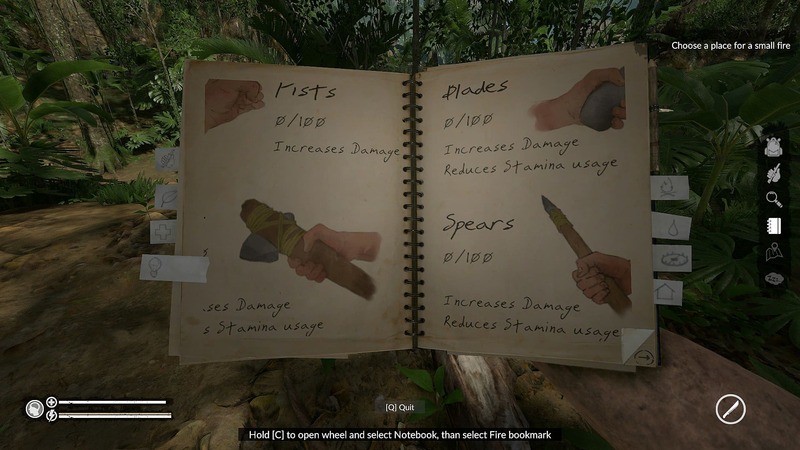 You can also throw melee weapons at any target by pressing the mouse wheel. Most animals will run away from you, but others, like Jaguars, can be a bit more dangerous. It's better to avoid them all together since their meat isn't too nutritious anyway. Hopefully, this aspect of the gameplay will be improved for the full release of the game, but for now, you can practice throwing hand-made axes at wild boars and birds. 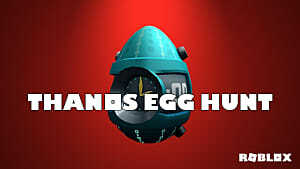 At this stage the game runs really well, no bugs and glitches detected yet. 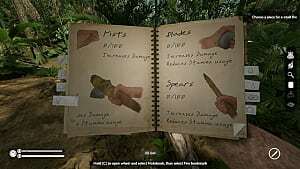 So the only thing that developers need to do is to add actual content -- because right now endless survival without any purpose gets boring really quickly. You could try out the Challenges mode for three types of challenges that are limited by time, but when those are done, there really isn't much more to do in Green Hell. But that's probably the purpose of the Early Access titles -- to introduce the possibilities of the gameplay and nothing more. Well, Creepy Jar managed to create something really cool and very much playable. If the Story mode will be fully realized and the game turns out to be as good as it seems at first glance, then the developers have another winner on their hands.